Hockey Rink Ceiling Light for Kids - This hockey theme ceiling light is the perfect finishing touch for any hockey fan's bedroom or sports room. 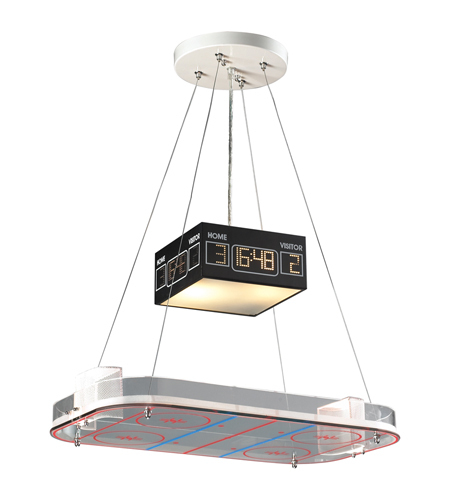 Complete with miniature hockey rink, two hockey goals, and an overhead lighted scoreboard, this hockey rink ceiling light is a dream for hockey fans of all ages. Hockey rink ceiling light takes two 60-watt medium bulb.